Nearly half of all patients with heart failure have preserved ejection fraction as opposed to reduced ejection fraction, yet associations of biomarkers with future heart failure subtype are incompletely understood. Heart failure with preserved ejection fraction (HFpEF) is a form of congestive heart failure where in the amount of blood pumped from the heart's left ventricle with each beat (ejection fraction) is greater than 50%. Heart failure with reduced ejection fraction (HFrEF) happens when the left side of your heart does not pump blood out to the body as well as normal. 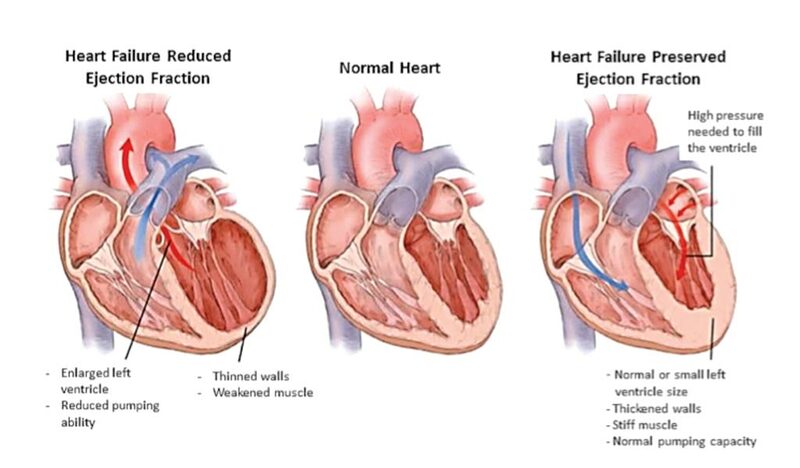 Image: A diagram of two different forms of heart failure compared with a normal heart (Photo courtesy of The Medical University of South Carolina). 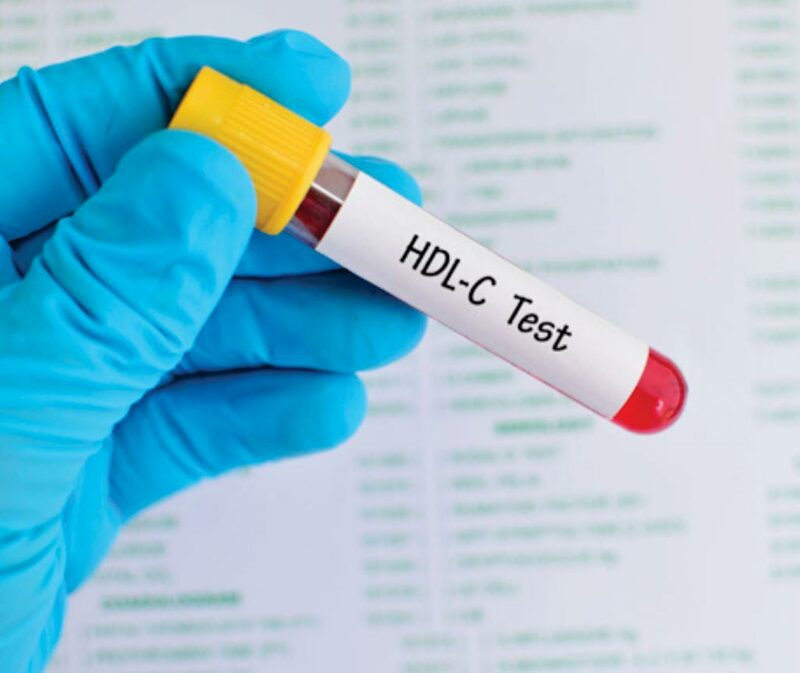 A large team of international scientists collaborating with the University Medical Centre Groningen (Groningen, the Netherlands) enrolled 22,756 participants in four longitudinal community-based cohorts, and measured several biomarkers of renal dysfunction, endothelial dysfunction, and inflammation, in addition to natriuretic peptides and high-sensitivity troponin. The following biomarkers were examined: N-terminal pro B-type natriuretic peptide or brain natriuretic peptide, high-sensitivity troponin T or I (cTn), C-reactive protein (CRP), urinary albumin to creatinine ratio (UACR), renin to aldosterone ratio, D-dimer, fibrinogen, soluble suppressor of tumorigenicity, galectin-3, cystatin C, plasminogen activator inhibitor 1, and interleukin 6. Among the 22 756 participants in these four cohorts there were 12, 087 women and 10,669 men; mean age, 60 ±13 years, in the study, during a median follow-up of 12 years, 633 participants developed incident HFpEF, and 841 developed HFrEF. Two biomarkers were significantly associated with incident HFpEF: UACR and natriuretic peptides; with suggestive associations for high-sensitivity troponin. In contrast, six biomarkers reflecting renal dysfunction, endothelial dysfunction, and inflammation were associated with incident HFrEF, including natriuretic peptides, UACR, cTn, cystatin C, D-dimer, and CRP. When directly compared, natriuretic peptides, high-sensitivity troponin, and CRP were more strongly associated with HFrEF compared with HFpEF. The authors concluded that biomarkers of renal dysfunction, endothelial dysfunction, and inflammation were associated with incident HFrEF. By contrast, only natriuretic peptides and UACR were associated with HFpEF. These findings highlight the need for future studies focused on identifying novel biomarkers of the risk of HFpEF. The study was published on March 1, 2018, in the journal JAMA Cardiology.